Himachal Pradesh Congress Committee today organised the Executive Committee meeting under the chairmanship of HPCC President Th. Sukhvinder Singh Sukhu in which strategy for upcoming Lok Sabha elections was discussed. All PCC office bearers and district presidents addressed the meeting and expressed their views regarding Lok Sabha polls and other issues related to the strengthening of Congress party in the state. While addressing the Executive Committee members, Sukhu said that the list of party candidates for upcoming Lok Sabha elections are likely to announced soon. “In the executive committee, it was unanimously decided to start district level conventions in the state that will be started by February end and these conventions will continue till March 2014,” Sukhu said, adding that apart from this, he along with PCC Vice Presidents and General Secretary in-charge will also conduct meeting in their respective DCCs and BCCs in the first phase of election campaign in the state. Sukhu said that the executive committee members took up the issue of party leaders who have issued notice or have been expelled from the party for anti party activities and all the members were of the view that these party leaders can be brought back into the party’s fold on merit basis and after consultation with the concerned PCC members, MLAs and Presidents of DCCs and BCCs. 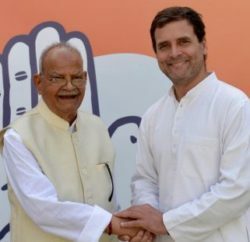 HPCC President thanked UPA Chairperson & Congress President Sonia Gandhi, Prime Minister Manmohan Singh and especially Congress Vice President Rahul Gandhi for raising the number of subsidised LPG cylinders from 9 to 12. He said that he will take up the issue of providing general LPG cylinders on older pattern as linking Aadhar Card for getting subsidy for LPG cylinder is no longer mandatory. He said that the issue of ration supply in the state has been solved and the state government had already procured ration for supply to the people of the state. Sukhu also praised state budget and said that Chief Minister Virbhadra Singh had presented a balanced in which he had taken care of all sections of society. “The people friendly budget presented by Virbhadra Singh had provided relief and incentives to all sections of society, be it farmers, horticulturalist, labourers, women, youth, government or contract employees and we appreciate the efforts of Congress government that they had tried to address all these concerns despite financial constraints,” Sukhu added. Sukhu criticised opposition party BJP for abstaining from the proceeding of budget session in state assembly and termed the move as cheating the electorate on trivial issues while they should be raising the issues concerning general public in the assembly. 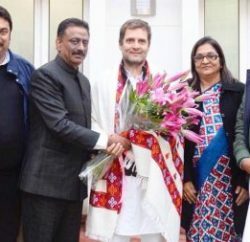 “The boycott of assembly session by BJP seems to be a planned move as the opposition party leaders are busy in making preparations for Gujarat Chief Minister Naredra Modi rally which is scheduled to be held on February 16 in Hamirpur district,” HPCC president said, adding that the opposition party is giving preference for making efforts to make its prime ministerial candidate’s rally successful while they should be focussing on discussions on issues related to general public of the state in the assembly. He also criticised the BJP’s ‘One Note, One Vote’ campaign and termed it as unconstitutional and illegal. “BJP is setting bad precedence by running such unconstitutional campaigns,” he added. Himachal Congress Vice Presidents Gangu Ram Musafir, Harsh Mahajan, Geeta Negi, General Secretary Harbhajan Singh, Sunder Thakur, Spokespersons Naresh Chauhan, Subhash Manglate, Deepak Sharma, Bhuvaneshwar Gaur, PCC members and DCC presidents attended the meeting and gave valuable suggestions.